MANILA -- He has spent eight years in an on-off relationship with Jodi Sta. Maria. And judging from Jolo Revilla's newest Instagram post, it seems that that chapter in his love life is indeed truly over. 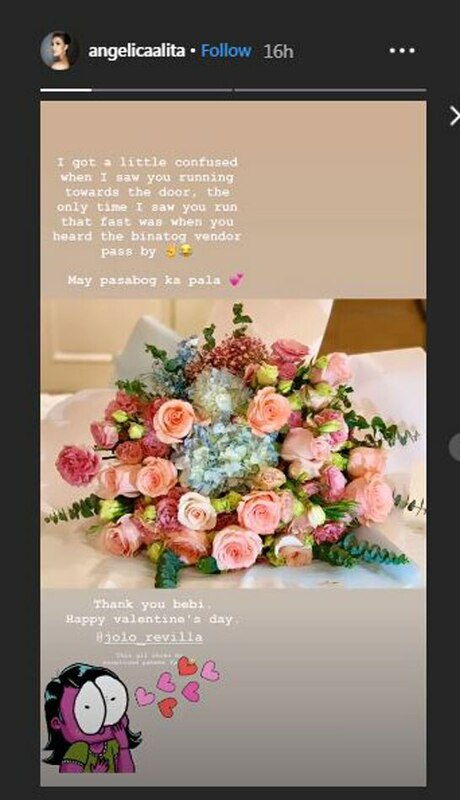 Proving that he has moved on from his long-term romance with the Kapamilya star, Revilla shared a gushing Valentine's Day post about his new love interest. The actor-politician uploaded a photo of him with beauty queen Angelica Alita, who finished first-runner up in the 2016 Binibining Pilipinas pageant. His caption read: "Totoong masaya ang puso ko ngayon because I have you in my life. You've been caring, loving and supportive to me. I love you and will always will." It remains unclear when the couple started dating. Revilla first confirmed that he and Sta. Maria have broken up in June last year. They were rumored to have gotten back together but this was denied by Sta. Maria last month.